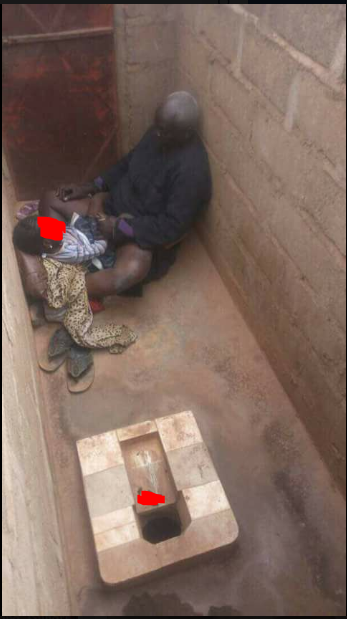 An elderly man was caught molesting and defiling a little girl inside a toilet at their compound. According to reports, a neighbor spotted the man with the little girl while engaging her in $3xual acts in the toilet as a photo of them was taken was taken as proof before an alarm was raised. A Facebook user who lives in Kaduna state – shared the shocking picture online.